This dates back to 2002, with Ion Storm’s then-Project Director Randy Smith discussing stealth gameplay fundamentals in the Thief series at Game Developers Conference. 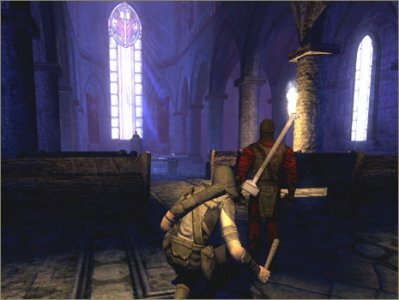 The lecture provided what was then an early glimpse at the mechanics of the third entry in the series, Thief: Deadly Shadows. Don’t plan the player’s experiences for them. Populate the world with challenges. Populate the world with things that interact with the player’s tools, the simulations, manipulate the data flow. Thanks (again!) for making talks and presentations like these available, and downloadable, and collected into a convenient places. I finally have sites like these loaded into my Blogger Dashboard, so I know when new entries have been added. Right now I have three of your blogs. How many do you have, heh heh? I like how you come across things I haven’t yet found in my scavenger web hunts, and how there seems no end to what will be discovered in the future.